Are you worried about the risk involved with updating your iPAQ system ROM to the latest version and turning it into a stylish brick? Well if so this service is for you. 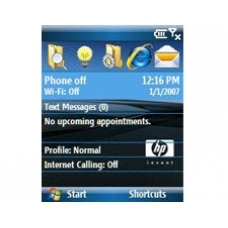 The iPAQ will be updated to the latest version of Windows Mobile 6 Premium Phone edition and all other released end user updates will be installed.